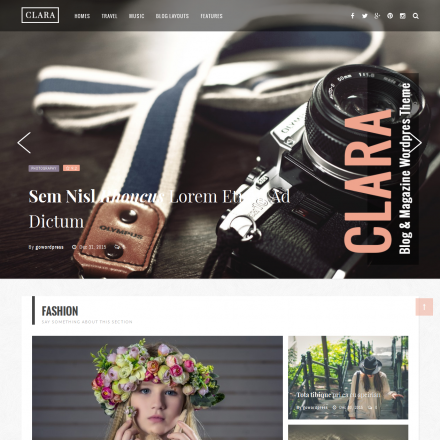 Writings theme translations are maintained by the WordPress community. 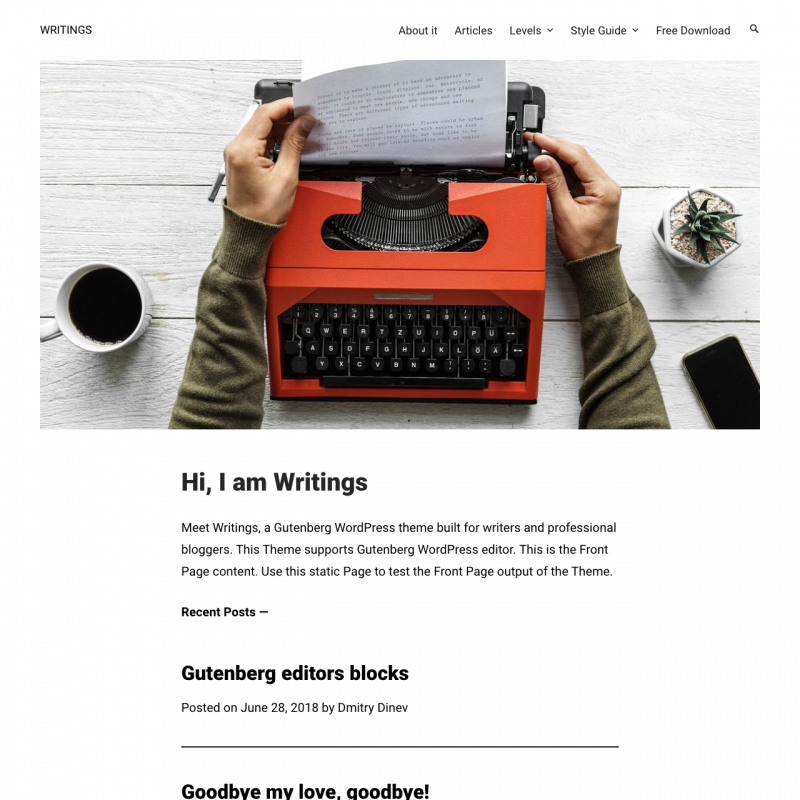 Writings is a simple, clean WordPress theme for any blogs. 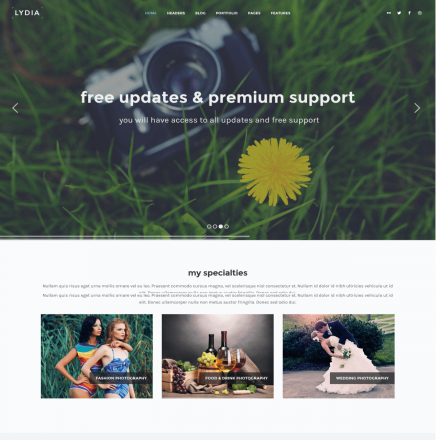 Suitable for writers, travelers, food bloggers. 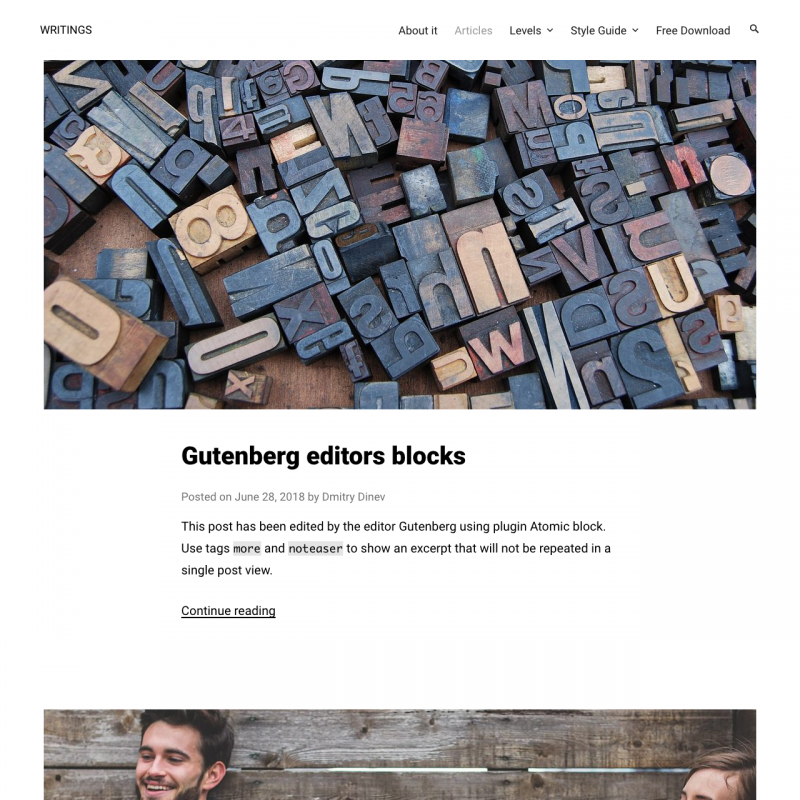 The theme is compatible with Gutenberg editor, as well as with some plugins that expand Gutenberg functionality.